National Forests in Florida - FTS Inc.
Agency under the United States Forest Service that manages approximately 1.2 million acres of forests in the southeastern state of Florida. 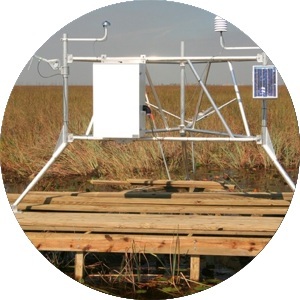 The terrain in Florida is mainly composed of rolling grasslands, swamps, and marshlands with intricate ecosystems. The forest cover is a mix of deciduous and coniferous trees, in addition to tropical trees and vegetation. 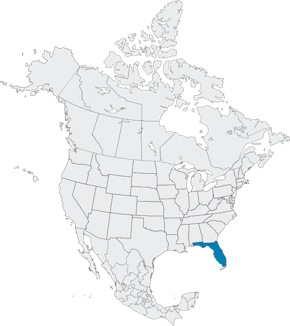 Bordering the Gulf of Mexico on its east and southern coasts, much of the state is at or near sea level. The climate is mostly humid subtropical, and in the southern regions it is tropical with high humidity and precipitation levels throughout the year. Severe weather, tropical storms, and hurricanes are not uncommon because much of the state is surrounded by the ocean. National Forests in Florida have been FTS customers since 1990. The National Forests in Florida fire RAWS network is instrumental in protecting many of Florida’s ecological reserves, national parks, and grasslands. The network consists of both fixed and portable stations, the latter of which play a key role in firefighter safety during prescribed burns.